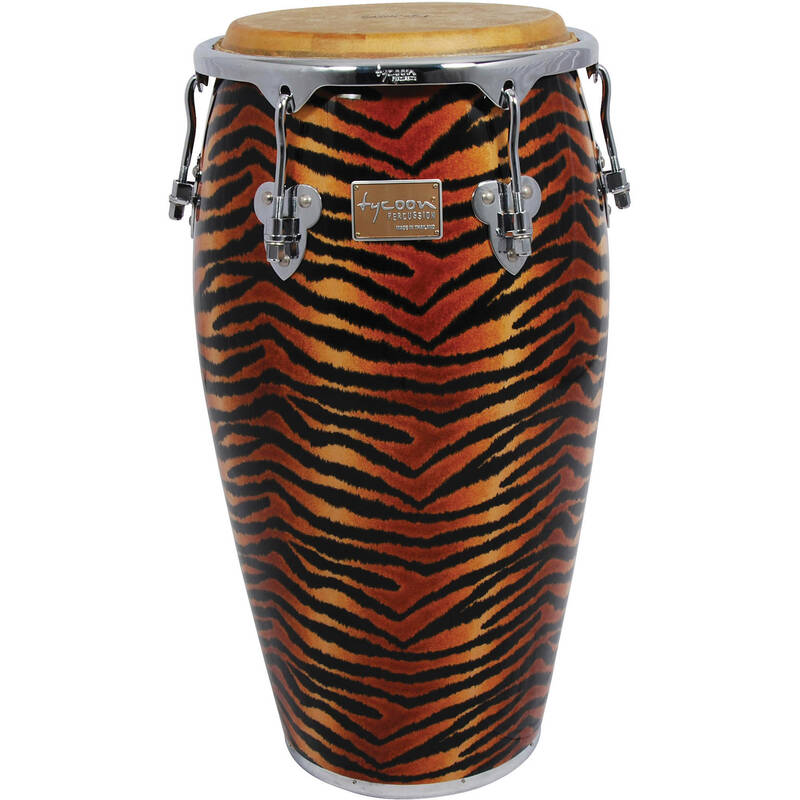 The Tiger 12.5" Master Fantasy Series Tumba from Tycoon Percussion is a 30" tall drum with a wide belly, designed to create rich and deep bass tones. The shell is constructed of durable aged Siam Oak wood, and numerous layers of high-gloss finish are applied and polished to create a mirror-like exterior coat. The drum features chrome Deluxe hoops and reinforced side plates with 3/8" diameter tuning lugs. The water buffalo skin heads are designed to produce rich bass tones and clear high-pitch tones. Additional features include a die-cast handle which matches the hardware, and a matching single basket stand is included. An accessory pouch, a tuning wrench, and a lug lube are also included. Matching bongos and djembe are available (sold separately). Box Dimensions (LxWxH) 31.0 x 18.75 x 18.75"